The Small Business Lending Fund, one of the major provisions of the Small Business Jobs Act that President Obama signed into law a year ago, seems to have finally picked up some steam. Since September 1, the U.S. Treasury Department has announced a total of 111 banks have received money from the fund to use to increase loans to small businesses. With the 80 that had already been approved, this brings the total to 191 banks around the country. In the first round of funding, 50 banks received $767 million toward small business loans, it was reported on UPI.com. "These funds will provide a powerful incentive for community banks to expand their lending to small businesses, spurring new investment and job creation," Deputy Treasury Secretary Neal S. Wolin said at the time. On Wednesday, September 14, the Treasury made another announcement on the Small Business Lending Fund, saying that an additional 61 banks had been approved for $608 million. This brings the total disbursed from the fund to over $2.4 billion, according to Reuters. The initial funding for the SBLF was $30 billion, however, and currently the Treasury only expects to approve another $1.9 billion before the program ends on September 27, 2011. The Small Business Lending Fund was originally created to provide funds to banks under $10 billion as an incentive for them to lend to small businesses. However, many small banks decided that the requirements involved and the possibility of additional government oversight were not worth the small return they would actually see from being in the program. An additional problem was the continuation of strict requirements by federal regulators on requirements for loan applicants. Taken together, these have clearly dissuaded many banks from applying for the program. 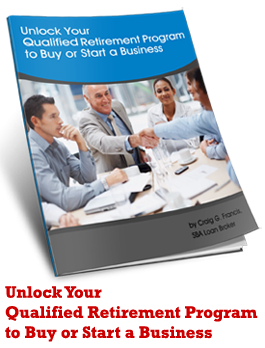 If you are a small business owner and are considering applying for funding to expand, buy commercial real estate, or for some other purpose, be sure to sign up for the two free reports on this site. If you are in the restaurant industry, or are considering buying a restaurant, watch the special video. With over thirty years in the lending industry, I have the knowledge, experience, and connections to help you through the process of applying for an SBA or other commercial loan. The latest numbers are out for the second quarter, and some of it is mildly encouraging - but only mildly. According to an FDIC release, banks overall reported $28.8 billion in aggregate profits for the second quarter of 2011, a $7.9 billion increase over the same period in 2010. It was also the eighth straight quarter of year-over-year increases for the industry. Additionally, 60% of banks reported improvements in their quarterly net income, while those reporting a loss fell from 20.8% to 15.2% for the period. However, the FDIC also reports that this increase in aggregate profits was due primarily to “lower provisions for loan losses” compared to the previous year - as has been the case on the seven other “improved” quarters. In other words, banks made more money because they had to cover fewer losses. If you look at actual earnings - what most people think of as profit - the numbers are decidedly negative. Net operating revenue was down $3 billion compared to the previous year - which was not a good year by any measure. Additionally, realized gains on securities dropped $1.3, a 61.1% decline from the same period on 2010. So things are getting better, except they are not. About the only truly bright spots were the decline in troubled banks (from 888 to 865) and the fact that noncollectable loans dropped by over 40% compared to a year earlier. So, with all this “good” news, how were small business loans affected? In a word - not. Lending did increase over the quarter, by about $34 billion, but that was almost exclusively to large corporations. Loans to small businesses actually declined by $2.5 billion. Robb Mandelbaum of the New York Times blog “The Agenda” did some digging to see just what is happening with small business loans. In his post “Who’s Making More Small-Business Loans Now? 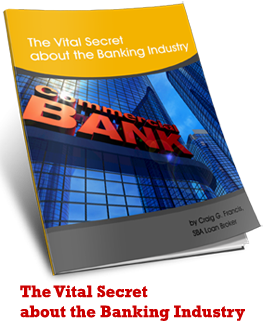 You May Be Surprised,” he reported that large banks actually increased their traditional small business portfolios - albeit by less than one percent. But we also know that these banks have been among the most reticent to lend to small businesses during this Recession, so it would not take as much to show an improvement - particularly one this small. So where does this leave the small business owner? Basically, right where he and she have been since the Recession began. Money continues to be tight at all levels, although it is not impossible to access. What it takes, though, is a solid plan and some good quality advice from an expert in the field. The business owner, large, small, or in the middle, cannot simply walk into a bank or other financial institution and expect to walk out with a loan. The requirements have always been stringent, and even more so in the past years. Before you do apply for a loan, take time to speak with an expert who can give you the real low-down - not just someone who will take money to “prepare” an application package. I have worked in the industry for over 30 years and have the experience to advise you on your application and the honesty to tell you if a loan is even right for your business. Contact me for more information. If you are in the restaurant industry, or are considering buying a restaurant, please watch the special video on this site.